There are many Caribbean islands that will provide you with a vacation to remember. Think about the beautiful tropical weather all through the year, amazing eco-tourism attractions, fabulous pink and white sandy beaches, world class vacation resorts, fun water sports activities and wonderful cultural diversity and you will start to bring memories of the Caribbean. These are just some of the delightful opportunities you will get to enjoy yourself. You will find that there are resorts on the various islands that have created the avenue for you to make your holiday dreams come through in the region. Here are some of the top hotels that you will have an absolutely amazing vacation at. The Beaches Turks and Caicos Resort and Spa will give you a family vacation to remember when you visit the location. It has a water park facility at the location so you know your kids will be in for some really fun activities in an all inclusive vacation setting. You will find some of the fun Sesame Street characters at the resort as well. Your you kids are having fun at the water park while you can take the opportunity to relax in the resort spa treatment facility. It is just one of the places that will help you to get in touch with your inner self. There is a fantastic beach at the location. This is the Caribbean hotel you can choose if you are traveling as a large family and you just need two or three spacious rooms that you can share and have fun all through your vacation. This resort in located on the south coast of Barbados close to all the exciting entertainment activities and water sports. It is an excellent resort for family, wedding and romantic vacation. The Bougainvillea Beach Resort will provide you will a vacation to remember when is comes to water sports activities in a beautiful Caribbean island. You will have the opportunity to enjoy surfing, windsurfing, water skiing, kayaking, boating, tennis and even to work out at the quality fitness gym. This location will give you access to all the top attractions in the island and you will find it really affordable. When you want to create great wedding, honeymoon, romantic, or family Caribbean vacation memories this Barbados vacation resort have what it takes to make your dreams a reality. When it comes to vacation to remember this brand of resorts do not need no introduction. However, the Sandals Beach Resort And Spa Negril is one of the many that stands out. It is located in the most romantic destination in the Caribbean, the destination of Negril Jamaica. This is a place where adult visit when they want some me or us time together. You will not have the vacation memory of some young kids running around or screaming to their parents in the middle of the night. The resort is a place for adults to create the vacation memories they always wanted. Some of the fun activities that will take you away from the private times you will spend with your loved one include windsurfing, golf, surfing, scuba diving, water skiing and excursion. You will also have to opportunity to see some of the top attractions on the island. The Sandals Brand of resorts specializes in scuba diving vacation. So, if you want a scuba diving vacation to remember, these hotels are the perfect locations in the Caribbean for you to choose. You will find that these resorts are the places for great fun romantic and honeymoon memories. Any vacation to remember in the Caribbean without highlighting Atlantis Paradise Island Bahamas will surely be a vacation deficit. 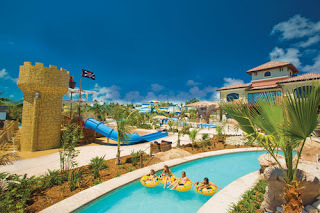 The is the place for fun with the water park attractions. You will find a number of resorts at the location that are all inclusive and will allow you to enjoy every bit to the attraction activities. From amazing water slides, to long lazy river, then having fun with dolphins, this water park will leave an indelible mark in your memories that you will be visiting the location in your mind every time a Caribbean vacation is mentioned to you after your visit to the location. Bahamas is not all about this location alone there are scuba diving and sport fishing. This territory is the best location in the region for sport fishing, so it you have any intention of creating fun sport fishing memories this is the ideal place to be. Let’s sample some Caribbean vacation memories for a resort in the nature island of the region. The Rosalie Bay Resort is one of the finest locations on the island for a vacation. It is the place to enjoy romance in nature. You will have access to some attractive waterfalls and boiling springs in Dominica. One of the things you will remember of your Dominica is the whaling and dolphin watching experience. This is the place in the region that give you the best opportunity to have memorable experiences with these amazing sea creatures. In addition, you will able to experience the culture of the largest ingenuous population in the Caribbean. This is one of the must visit places in the Caribbean. This island of Anguilla will give you a vacation to remember on many fronts like the other small Caribbean islands. You will remember your journey to the island because you have to travel by boat and you may find it a little more challenging to get to than other countries. However, this is the Caribbean vacation spot you visit when you want to enjoy some delightful beach bars and amazing pink sandy beaches. There are a number of great beach bars that will allow you to sample all the delights of the Caribbean sea foods prepared by some of the top chefs in the region. The CuisinArt Resort and Spa is one of the top resorts in the island that will give you the opportunity to enjoy the island. Be prepared to learn about an organic garden and hydroponic farm that does its own recycling activities at the hotel. All the fun activities of golf, tennis, scuba diving and picnicking to a secluded island will be part of your vacation to remember in Anguilla. The Caribbean is a great place to have your vacation. It is a place to will find resorts in all dimensions. The resorts and islands mentioned are places for you to have an absolutely delightful vacation to remember in the Caribbean islands.